The damage that our previous president unleashed upon our nation will take years to undo. Activist judges are destroying this country, one small cut at a time. It is heartening to see Trump appointing good judges, instead of rogue ones. 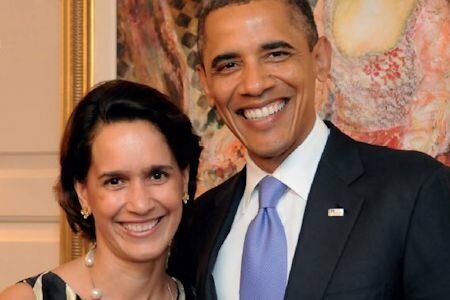 Judge Wendy Beetlestone has issued an injunction against an executive order signed by President Trump that walked back the infamous contraception mandate of the Obama Administration. Pennsylvania Attorney General Josh Shapiro filed a lawsuit against the administration’s decision to undo the mandate and calls the Beetlestone injunction “a critical victory for millions of women and families and for the rule of law.” Since when was the government’s blessing to destroy the lives of the unborn something to be celebrated? “Shapiro’s victory came after arguments in front of Judge Wendy Bettlestone Thursday, where the A.G. contended that the rollback would harm Pennsylvania’s 2.5 million women. Dr. Cynthia Chuang, of Penn State University, testified before Bettlestone that the rollback would cause ‘serious medical harm,’ including unintended pregnancies, Courthouse News reports. “The government disagreed with this argument when, in October, Trump ordered the Department of Health and Human Services to allow for fairly broad-based religious and moral exemptions to the mandate. “The mandate itself, propagated under ObamaCare, required employers to pay for contraception as part of the insurance they provide for their female employees. Religious entities, including many Catholic-affiliated organizations, objected, citing moral concerns as to the propriety of contraceptives. “Those objections, and the Obama administration’s various attempts to accommodate them, eventually made their way to the Supreme Court. There, in Burwell v. Hobby Lobby, the Court found that closely held corporations could claim a religious conscience exemption; a similar case, Zubik v. Burwell, was underway at the time of the Trump rollback. I’m still trying to fathom the “serious medical harm” that comes upon women who get pregnant. Unintended pregnancy is not a good enough excuse to end an innocent life. News flash, being pregnant isn’t a disease, a medical malady of any kind, or some kind of terminal illness. It is letting nature take its course and is the mechanism by which we were all created. It is not the function of the courts to create policy. It is only their job to rule on the constitutionality of the laws created. It is a sad day indeed when we see these activist judges who have this kind of power to decide which laws are going to be enforced and which laws are going to be discarded ignored. Of course, leftists are falling all over themselves to be the first in line to say how brave and great this is. Which federal judge just blocked Trump's repeal of the Obama birth control mandate? Since when is free birth control the same as “access” to birth control? And I don’t think this lady would understand poetry or justice if they took the form of a white male and “mansplained” them to her. If you want to sleep around, pony up the 20 bucks a month for the pill. No one is removing “access” to birth control. We don’t want employers to be forced to pay for it if they don’t want to. It’s pretty simple, which means it goes over leftists’ heads. They fill their brains with what to think, not how to think.